servicing organizations across Long Island and New York Metro area. 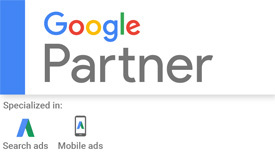 We provide distinct market-leading advertising services such as search engine advertising, social media advertising, web display advertising and email advertising. In addition, we offer a variety of traditional forms of advertising services including TV, radio, outdoor and print advertising. It goes without saying that the web and social media are changing the way companies conduct business and deliver advertising messages to their prospective and existing clients. Besides, building visibility in a fiercely competitive marketplace has never been more challenging. But here is the good news: with challenges come enormous opportunities. If you choose to work with us, we will help you get the most of these opportunities, cut through the clutter and get noticed. Members of our team are seasoned advertising professionals who are well-grounded in digital and traditional forms of advertising and objectively evaluate customers’ overall marketing needs. Furthermore, we develop the best, most effective and proven strategies to reach high-quality prospects. What’s important is that we are quickly adapting to emerging technologies and implementing best practices to maximize return on investment and minimize cost-per-clicks and cost-per-impressions. 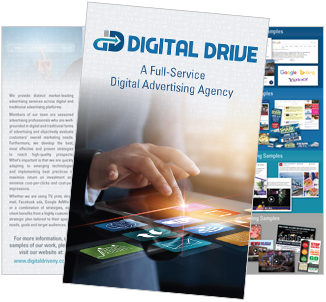 Whether we are using TV, print, direct mail, Facebook ads, Google AdWords or a combination of strategies, each client benefits from a highly customized strategic plan tailored to their specific needs, goals and target audiences. At a time when companies of all sizes are competing for their customers’ and prospects’ attention, you will benefit enormously from our expertise and get all the tools, guidance and resources you need to stand out and transform your business.